Happy Easter! Didn’t really feel like Easter this year because the weather was stormy and rainy all day long. Last year I sat out on my grandparents’ balcony in the sun and got a sunburn. This year I sat indoors watching the rain. Our Easter activities commenced the night before. Because people are more likely to go to church on Easter Sunday our church asked us regulars to go to Saturday service so people would have a seat on Sunday. Joshua and I went with his family and Amber to 6:00pm service and then to Red Robin for dinner. 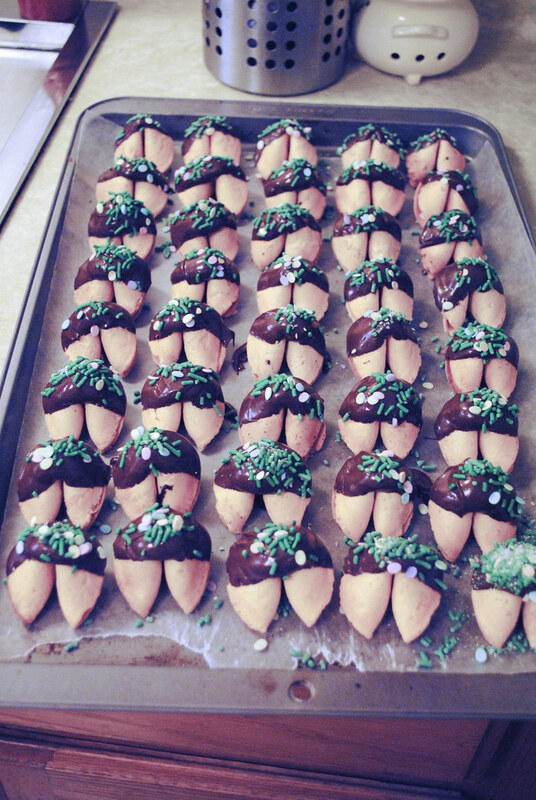 After dinner Joshua helped me make chocolate-dipped fortune cookies. Thursday I was part of the “O-Team” at school (the “o” standing for orientation) so I was busy helping out during the day. We got Chinese food for lunch and because I was part of the clean-up crew I got to take home a couple hundred fortune cookies. I decided I would make a nice Easter treat by dipping them in chocolate and sprinkling them with Easter sprinkles (which Joshua actually did, hehe). 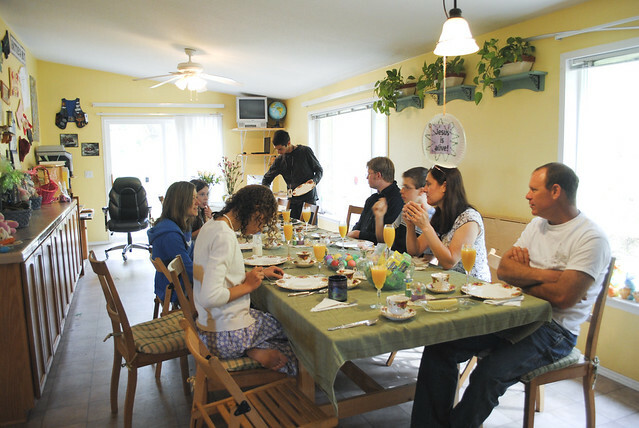 This morning we went over to Joshua’s family’s house at 10am for Easter brunch. 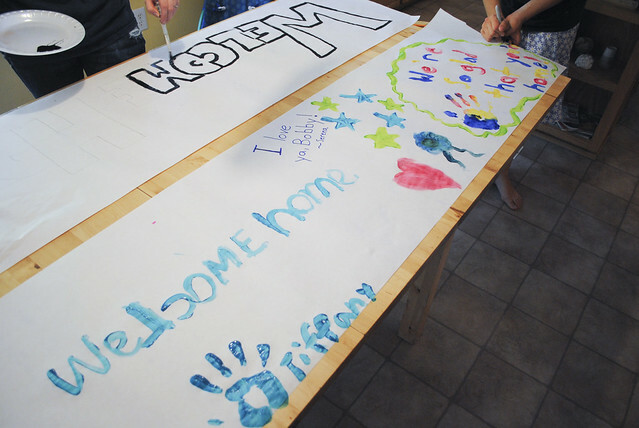 After we ate we decided to have a banner-making party for when Bobby comes home. Bobby is due to come home in a couple of weeks from Afghanistan (he’s been there since September 2009). We made four lovely banners and can’t wait till he comes home. Meanwhile, I spent most of my time playing with my adorable lil niecey-poo! Later in the afternoon Joshua and I headed down to the Bay Area where we met up with my parents and sis at my grandparents house. We had a lovely Easter dinner, and I brought along my cookies for dessert. A couple hours later we journeyed home in the rain. So my Spring Break is at an end. It flew by, especially since I was so busy. I managed to get my photographer and videographer for the wedding booked, as well as one of my web projects up. I was also successful in giving up Chili’s for Lent, but now that it’s over I am going to Chili’s again! Yummm can’t wait! Back to school tomorrow with a brand new set of classes!